HSBC is the 7th largest bank in the world, with over $2.37 trillion in total assets. The company partners with Global Payments to offer a range of payment services including merchant accounts, online payment gateway, card machine rental, and a variety of other services. This can come as a disappointment to business owners thinking they are working with HSBC, who previously offered one of the best merchant services in the UK. While HSBC does not offer merchant services directly, Global Payments was previously an HSBC company. However, it is important that you understand the new rates, contract terms, and offerings, as well as any additional fees or contract terms that might make Global Payments less than ideal for your business. 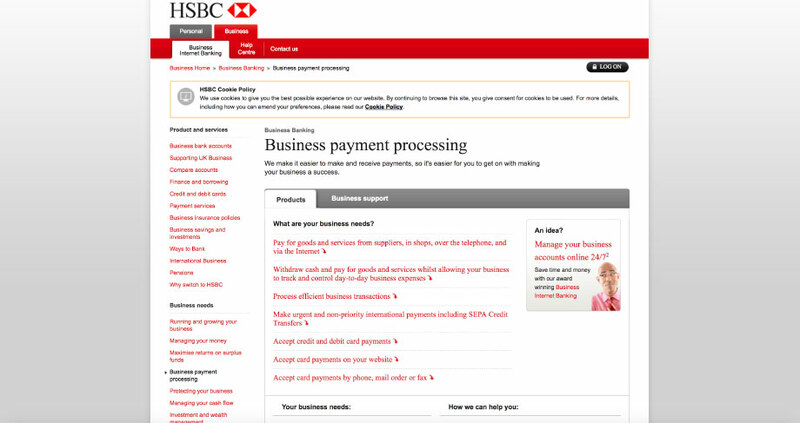 HSBC and Global Payments formed a partnership in 2008 to offer HSBC Merchant Services in the UK. In 2009, Global Payments bought out HSBC’s share, making the offering completely Global Payments owned. Then, in 2016, Global Payments merged with Heartland Payment Systems from the United States and officially brought all subsidiaries and brands under one name, Global Payments. So, Global Payments has been a large part of HSBC merchant services from the beginning but is no longer part of the brand. The company now offers the same services, including Global Iris, branded under Global Merchant Services rather than HSBC. Global Payments is owned and operated in the United States, but processes payments in 29 countries for more than 2.5 million merchants. If you prefer to work with a local UK merchant service provider, Global Payments is not the best solution. However, the company does offer quality international services, a strong range of technology, and high-end security and anti-fraud features. HSBC services through Global Payments, and all rates and fees are the same. This comes with the advantage of Global Payments’ transparent pricing policy and clear markup scheme, so you always know what you’re paying and why. While you will typically receive a custom rate based on your business type and transaction volume, it will always be Interchange + markup. Each of these rates are averages rather than a guarantee of what you will receive. You may be quoted higher or lower depending on your business. For example, if you have a lower transaction business or are a higher risk business (certain industries, if your business is very new, etc. ), you will likely pay more. Cost Per Service – While Global Payments offers a minimum £10 per month fee, it is per service. So, if you want a virtual terminal, merchant account, and online payment gateway, the starting cost per month is £30. True Rate Pricing – Global Payments uses their own “True Rate” pricing scheme rather than the standard used by most other providers. This means that you don’t pay a flat rate for any transactions, but rather interchange +. However, there are no rate guarantees, and you will pay a different fee based on transaction volume. HSBC and Global Payments do offer lower average rates than nearly any other competitor except Sage Pay unless you are able to negotiate big-business rates. HSBC and Global Payments offer online payment gateway, merchant account, card machines, virtual terminal, and custom solutions for different industries. Merchant Accounts – Global Payments acts as an acquiring bank, accepting all major credit and debit cards in up to 32 currencies. With dynamic currency conversion, high security, and anti-fraud tools, the account is secure and one of the best in terms of technology. You also get 2-business-day processing. Payment Gateway – With two primary payment gateway solutions, you can choose an offering that best meets your business needs. GP WebPay – GP WebPay is an online checkout page with optional payment gateway, which you can source through Authorize.net or pay Global Payments to set up for you. This option is a good idea if you already have a payment gateway or would like to source your own gateway while benefiting from Global Payments’ dynamic currency conversion, language translation, FastPass checkout, loyalty and gift card support, and secure checkout. Global Iris – If you’re looking for a complete online payment gateway, Global Iris is the better solution. The integrated payment gateway uses Global Payments Gateway and offers virtual terminal, hosted or direct checkout, and a developer API. Like GP WebPay, it also features secure checkout and anti-fraud. Both solutions are available as either a standalone service or as part of a larger package from Global Payments. You can also choose from three checkout page solutions including HTML Clone with Secure Page, Secure Form, and a shopping cart plugin compatible with nearly all major shopping carts and platforms. Global Payments offers numerous card machines and terminals including a range of their own brand and Verifone or Ingenico card readers. These include countertop, portable, and desktop card machines plus integrated payment systems and POS. Global Pay Now – Global Pay Now is a card processing program for the hospitality industry. The system automates processing bills from EPOS to portable card machines and tills, saving time and hassle when waiters bring portable card machines to the table. With Global Pay Now, a server can bring a card machine to the table, accept funds, and print a receipt without leaving, because processing is handled automatically and both stay up to date. Global POS Link – Global POS Link automates processing between tills, payment terminals, and pin pads to remove the need to double key. PayApp Mobile – A free mobile card reader and app provided with applicable contracts. PayApp Mobile enables you to accept payments directly on your phone using a simple clip-on card reader. HSBC and Global Payments offer a great deal in terms of merchant services. Chances are that if you need something, the company offers it. HSBC is one of the most highly respected banks in the world, with an excellent reputation and quality customer service. However, you also need to know about Global Payments. While Global Payments mostly offers good service, the company does have negative reviews, primarily surrounding freezing funds, higher fees for some of their services, PCI non-compliance fees, and early termination fees. For example, some customers have had instances where their entire accounts are frozen or flagged based on security issues. If this happens, you are unable to process funds until it is resolved, which could cause severe cash flow problems for a smaller business. If you choose GP WebPay and ask Global Payments to set a merchant account up for you, you will also pay significantly higher fees than you would if you set up an Authorize.net account yourself. 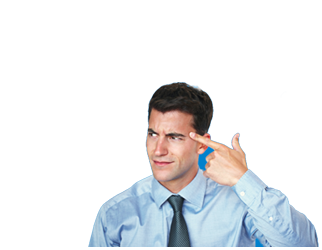 If you choose to cancel, you will pay high termination fees, which can exceed £500. Finally, Global Payments does charge PCI non-compliance fees, which can range from £100-£190 per month. If you cannot prove that your company is PCI compliant and continue to prove it, Global Payments will quickly become extremely costly. Other than that, Global Payments has a very good reputation, with no issues regarding poor service, breached contracts, or unexpected increases in costs. Global Payments uses a combination of internal customer service and sales and third-party sales teams, which means that quality of service can vary depending on whom you contact. Global Payments uses third-party resellers to market their products. Unfortunately, third party resellers are paid on commission and typically attempt to sign you to higher rates and possibly higher fees. You will always get better rates by contacting Global Payments directly and requesting a quote through them rather than through a reseller. Customer service can also vary a great deal from representative to representative. Why? Global Payments is actually one of the largest merchant service providers in the world, with over 8,500 employees worldwide and more than 2.5 million merchants. This means that some businesses, especially smaller ones, will lose priority for customer service. Global Payments does not offer dedicated account managers for most contracts, and you will sometimes talk to new employees who don’t know what they are doing or how to help. However, you can almost always talk to someone and Global Payments will typically attempt to resolve issues where possible. While not perfect, their customer support is well-reviewed, and one of the better options in the UK. HSBC and Global Payments is one of the largest merchant account service options in the world, but how does it compare to competitors? Global Payments offers highly competitive rates, low monthly costs per service, and transparent pricing. With average costs well below those of its closest competitors and fair contract terms (except for a high early termination fee), the merchant account provider is a strong option for businesses of all sizes. However, with fewer solutions for small business, and higher rates for small businesses, they might not be the best solution for everyone. It’s still important to request quotes from multiple providers and compare your options where possible to ensure that you’re getting the best deal. HSBC Merchant services are no longer sold under the HSBC brand, but the product remains the same under Global Payments. While not UK owned, the company is a large international merchant account provider with high-end technology and highly competitive rates. Combined with flexible and transparent pricing, plus a contract length starting at 12 months, and HSBC/Global Payments has a lot to offer. It is important to keep in mind that nearly all negative reviews of the company are from small businesses. As a small business, you will get less in terms of support and PCI compliance fees will hit a lot harder. Make sure you’re prepared to stay ahead of PCI compliance if you choose to contract with Global Payments. You may also want to consider that lower rates are typically offered for longer contracts. If you want a 12-month contract, Global Payments may not have the most competitive rates. And, most importantly, make sure you’re signing directly with the company rather than going through a third party, which will cost you more. Overall, Global Payments offers a very strong merchant account solution at competitive rates, and the company should be one of your top options.